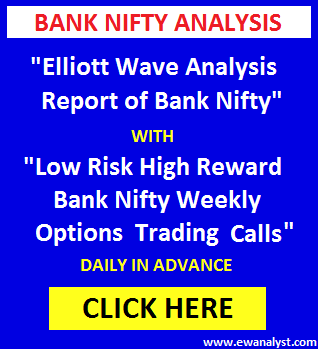 Bank Nifty opened flat at 24854, registered low 24757 and bounced back again to register high 24939 but didn’t sustain at that level and declined back again to register low 24732 and finally closed 59 points down at 24791. 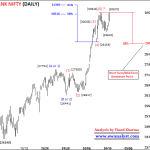 Yesterday, I had mentioned that Bank Nifty can decline sharply for low below 24048 (start of Triple Zigzag Correction) after completion of Triple Zigzag Correction above 25009 if I am right at identifying the pattern. I suggested holding Bank Nifty 25500 Call of 28 March expiry with exact stoploss 24746 expecting minimum target 25009 and above. 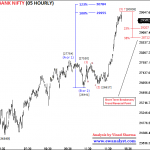 Bank Nifty traded whole day in 24757-24939 range and Stolposs of 24747 was trigged just 10 minute before closing. 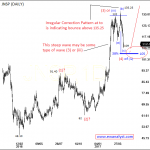 Now, we need to analyze latest charts for further scenario. This is Hourly time bar chart of Bank Nifty covering decline from 27652. This is the same chart with explanation which I had explained in my last report because there is no change in wave counts on this chart. 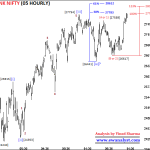 It seems that the decline started from high 27652 is impulsive with wave 1 completed from 27652-27116, wave 2 may be completed from 27116-27613, wave 3 may be completed from 27613-25023, wave 4 may be completed from 25023-25723 as irregular correction and wave 5 may be completed at 24048 or still in progress. 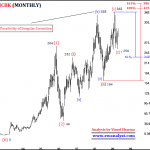 38%-61% retracement of the whole wave [27652-24048] is placed at 25424-26275 which is the expected range on upside for wave (B), if wave impulse is already completed at 24048 as wave (A). 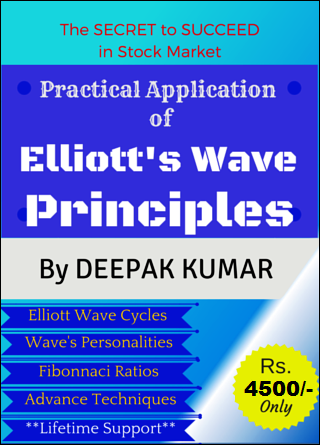 Other Possibility: But if wave completed at 24048 is inner wave (iii) of 5 rather than wave 5 then Bank Nifty can give one more decline below 24048 to complete wave (v) of 5. 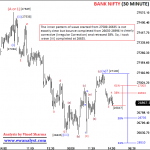 38% retracement of progress of wave 5 is placed at 24687 in this case which is also broken. So, we need to analyze the bounce started from low 24048 to check if we can get some clue. 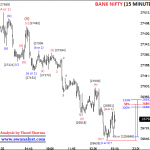 This is 15 Minute time bar chart of Bank Nifty covering bounce from low 24048. 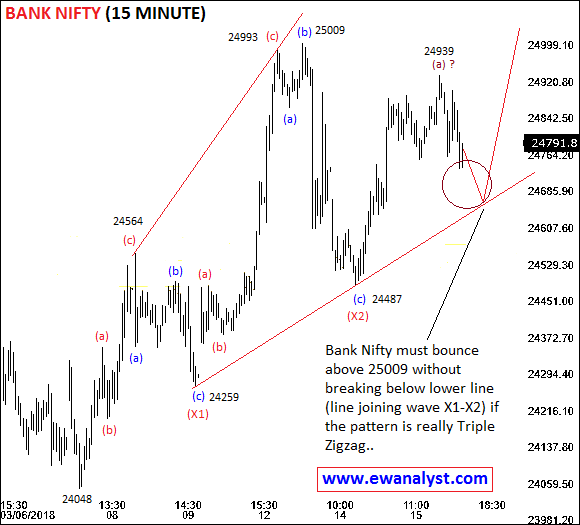 It seems bounce started from low 24048 is progressing as corrective pattern like Triple Zigzag (abc-X1-abc-X2-abc) as shown. 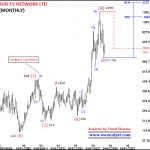 This Triple Zigzag may be in last (abc) cycle where (abc-X1-abc-X2) is already completed and last (abc) may be in progress. Last (abc) cycle of Triple Zigzag may be tricky and confusing but it needs to complete above 25009 without breaking below the low line formed by joining end points of wave X1 and X2. Please look carefully at the presentation on chart. 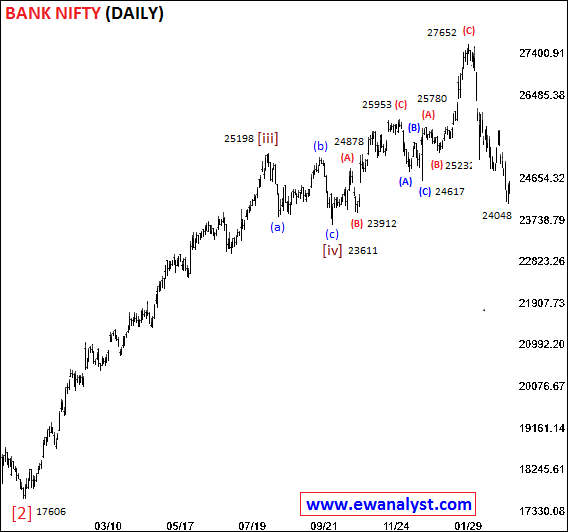 Overall, Bank Nifty can first bounce above 25009 without breaking below the line joining (X1-X2) followed by sharp decline for low below 24048 (start of Triple Zigzag). (The line joining wave X1-X2 is around 24610-24640 right now which will rise as the time passes, so we need watch this line during market hours for exact point to initiate any trade). 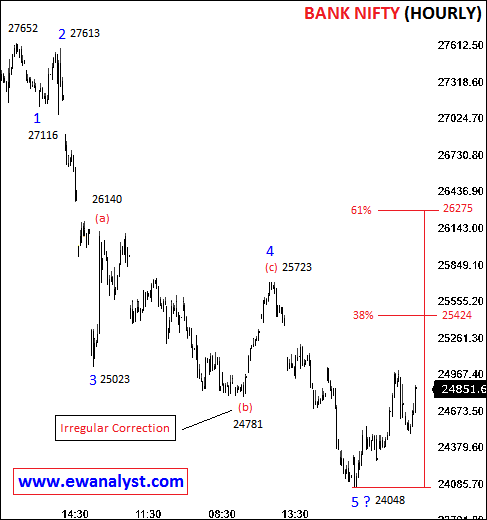 There is no change in wave counts and outlook, still there is possibility of Triple Zigzag Correction started from low 24048 which is in its last leg and need to complete above 25009. And we can expect a very sharp decline for low below 24048 (start of Triple Zigzag Correction) after completion of Triple Zigzag Correction above 25009 if I am right at identifying the pattern. Overall conditions are indicating a bounce above 25009 without breaking below lower line joining wave X1-X2 (look carefully on chart) followed by a very sharp decline of 1000 points for low below 24048. Bank Nifty if decline near line Joining end point of wave X1-X2 (look carefully at the presentation on 15 min chart) then 24600 call of 22 Mar expiry can be bought using stoploss of 10-15 points below the same lower line expecting minimum target 25009. Exit the trade if lower line breaks or when 25009 is touched. Buy Bank Nifty 24500 put of 22 Mar 2018 expiry if Bank Nifty even touches 25009 without any stoploss expecting targets 24048 and below in coming days. Don’t be over greedy, wait for the levels and Buy Put in light quantity because we are trading without stoploss and loss can be huge if I am wrong at identifying the pattern.